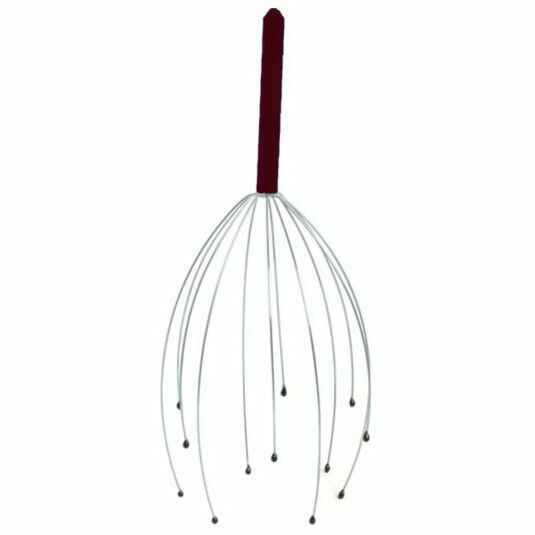 Everyone needs time to themselves to relax and unwind with the stresses of work, family and daily dramas and this Head 2 Head massager is designed to help you achieve your maximum state of just that. Through gentle acupression and stimulation of the nerve endings you will be immersed into a state of total relaxation through the very simple action of sliding this device up and down over your scalp. The stopped ends of the prongs target areas of your scalp, adding pressure to help relieve the tension and aid in the distress and relaxation process. Each massager comes with a black rubber handle for extra grip and a 12 prong massager with rubber stopped ends. The perfect gift for anyone that struggles to find time to relax in their busy lives, or even for those who want to extend their relaxation periods and achieve the ultimate state of relaxation. This is not a toy, keep away from children. No batteries required.